Lions, tigers, and magic guilds oh my! 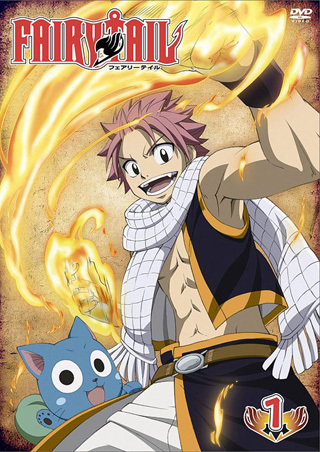 The anime adaptation of Hiro Mashima's similarly named manga, Fairy Tail, takes the viewers into the well worn territory of a magical fantasy shonen series. 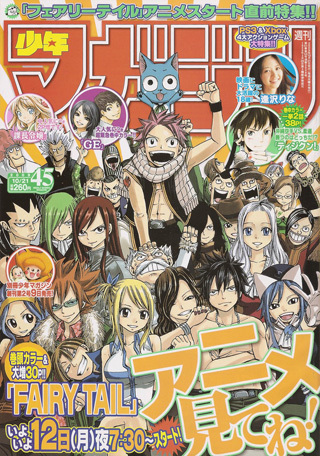 Probably best known for his work on Rave Master, this is indeed the same creator, but our subject today is considerably more polished. 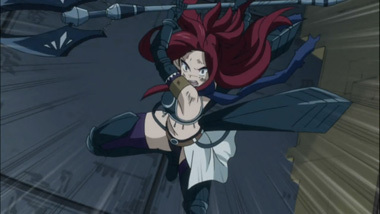 Almost a statement on tropes, Fairy Tail an the action comedy series that takes place in a fantasy setting, where magic is fairly common, and practitioners seem predisposed to joining guilds of like minded individuals. 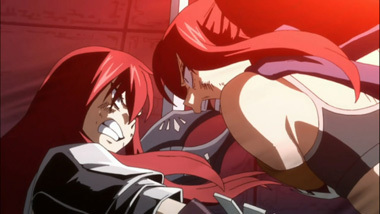 Fairy Tail, its said, is home to both the most powerful, and the most eccentric magicians the world has to offer. 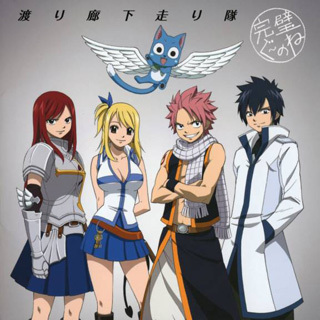 Hearing this, high borne runaway Lucy Heartfilia decides to meet up with the guild, and gives us a starting point rife with expository dialog. Almost a lesson in standard fair, there's nothing here you haven't seen before. 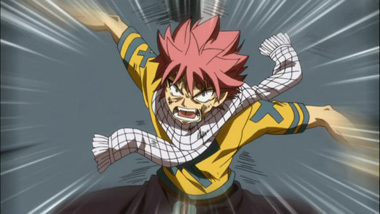 The protagonists are all prodigies in waiting, hampered by their eccentric behaviors. 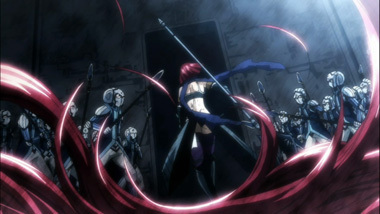 Despite being known as the most powerful guild, expect incremental huddles of "the most powerful X" ever to appear constantly. Also, expect major battles to be won by arbitrary decisions of who had the purer heart. However, amidst the wild tropism, there's just so much done "right" here. 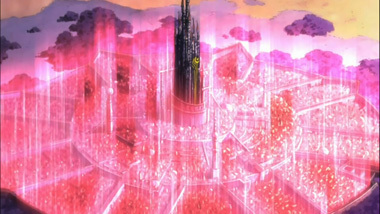 Take it or leave it, the artistic style feels quite similar to, say, One Piece, and is relatively pleasing to the eye. Also, the comedy tends to have good pacing, as the characters are all be driven by some sort of incredibly comedic weakness. 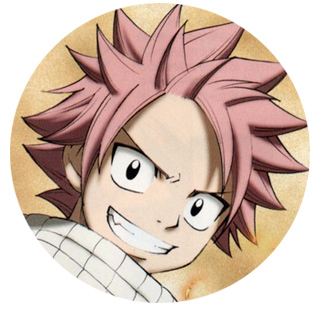 The nearly unstoppable Natsu Dragneel, dragon slayer (fire type,) cannot stand any sort of moving device, (carriage, car, train, boat) and will become immediately ill with motion sickness. 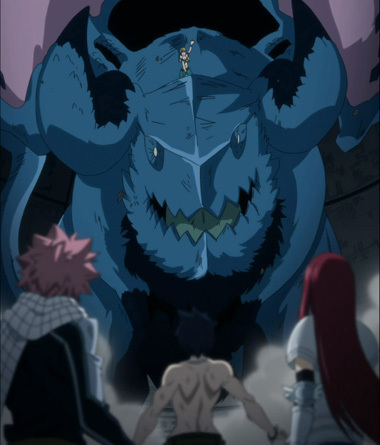 Talented ice mage Gray Fullbuster can make ice in nearly any shape yet has a terrible habit of unknowingly removing his clothes. The real question is, are you in the mood for a predictable, high gloss, fantasy adventure series rife with characters and over dramatic confrontations? 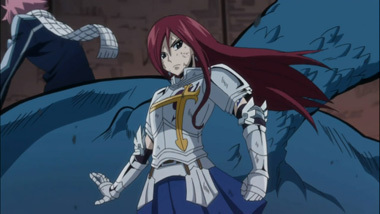 If so, Fairy Tail will undeniably scratch that itch. If not, well, you probably sneered at my discussion of obvious tropes, and clearly know better than this. 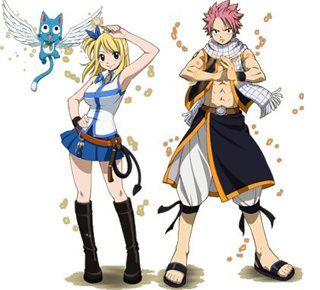 Fairy Tail is a currently airing/printing series spanning over 80 episodes and 25 volumes to date. 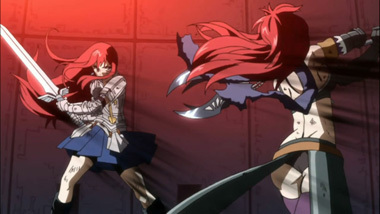 The series is available in print by Del Rey/Kodansha Comics USA and animated at Crunchyroll for paid subscribers. 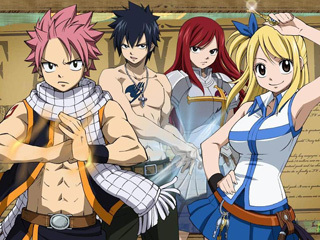 FUNimation has recently acquired the rights to the animated series, and will release it on DVD in the US. 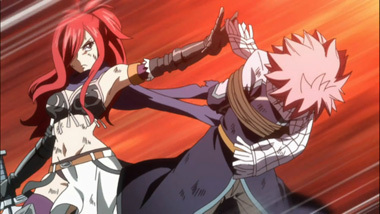 Below: Scenes from Fairy Tail. 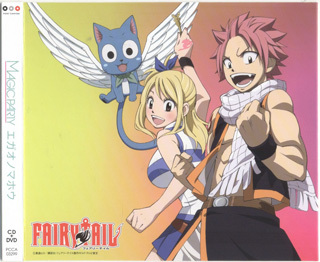 Below: Promotional illustrations for Fairy Tail.